How To Increase Property Value – Which House Renovations Should I do? There comes a time in the life of every home at which house renovations are not just desirable, but necessary. Whether it’s to fix structural issues or bring that bathroom into the 21st century, house renovations are important. But they’re also expensive. For that reason, you want your house renovations to add to the value of your home. By undertaking renovations that increase property value, you can effectively get those renovations to pay for themselves. To help with that, we’ve written a quick list of which home renovations to choose to improve your property value. Kitchens are the crown jewel of your home’s interior. They’re functional, social, indispensable, and aesthetically appealing. Basically, a good kitchen can sell your home by itself. The real kicker is far more interesting, though: kitchen renovations aren’t always super expensive. With a rise in modular kitchens, high quality-low cost appliances, and expert services, kitchens renovations begin at relatively modest prices. With some expert intervention, you can keep costs down, and value up! And as far as house renovations go, that’s about as good as it gets. Bathrooms are the next drawcard of any modern home. A good bathroom is something that can attract a remarkably diverse field of buyers. That’s why bathroom renovations are a powerful way to increase property value. They are generally a little more expensive than kitchens though. The tiling, plumbing, and fittings that go into every bathroom can elevate costs a little. But you can recover those costs, and then some, by doing it right. A well-executed bathroom renovation will add value to your property like few other projects can. External remediation: increase property value by improving street appeal! All the latest and greatest fittings and furnishings won’t get you too far if your home’s exterior is worse for wear. That’s why external remediation is high on the list of how to increase property value. External remediation falls as much into the maintenance category as it does into house renovations. But it is important nevertheless! And while you can DIY a lot of it, teaming with an expert helps you take it to the next level. Rather than just fixing problems, experts help turn them into value propositions. And if every maintenance job becomes an opportunity to increase property value, the incentive is a lot higher! Here in Queensland, everyone wants to live the outdoor lifestyle – it’s in our blood. So renovating your outdoor area to create the ultimate in alfresco living is the perfect way to increase property value. Making space for a nice outdoor setting, surrounded by well-landscaped gardens, is sure to attract buyers from all walks of life. In fact, its appeal is likely to be strong enough that you’ll rethink the decision to sell. Outdoor renovations are often overlooked, but the value and lifestyle opportunities they offer your property cannot be understated. 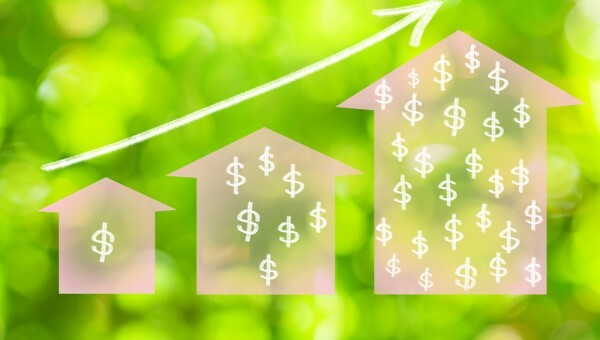 Looking for a budget way to increase property value? Try repainting! If all else fails, cover your house in a lick of fresh paint! Sure, that’s a pretty simple solution, but it works. Repainting is the baseline of increasing property value, and its effects are pretty impressive. You would be surprised what a difference a fresh coat of paint can make. And with some expert help in colour selection, you can turn your home into a designer statement. Compared to the cost of some more structural renovation, repainting has an appeal to those on stricter budgets. Don’t worry though, it is sure to increase your property value too! For more great landscaping trends, contact us.